Women's Health Medicaid is a program that pays for cancer treatments for women who have been diagnosed with breast or cervical cancer and cannot afford to pay for treatment. - Diagnosis- Must have breast or cervical cancer. This may include precancerous conditions of the breast or cervix. - Health Care Coverage- Applicant cannot have health insurance that pays for cancer treatments. The applicant cannot be currrenly receiving Medicaid or Medicare. Contact your local county Health Department. Please note- although this program must be applied for at a health department, an RSM Specialist will contact the applicant to notify them of their eligibility. An RSM worker will attempt to refer a denied applicant to another program that may be able to help them. In other words, they will find a way for you to get help. 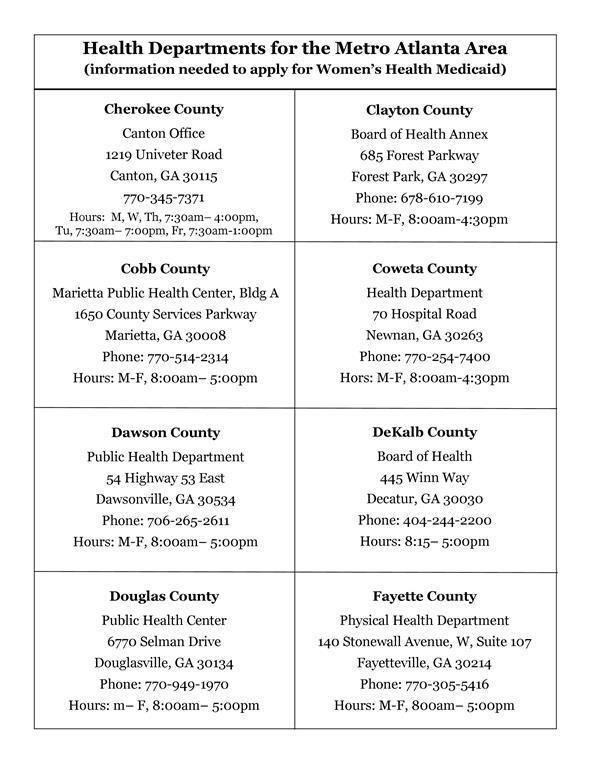 Below you will find the names, addresses, phone numbers, and hours for the Metro Atlanta area's individual county health departments. 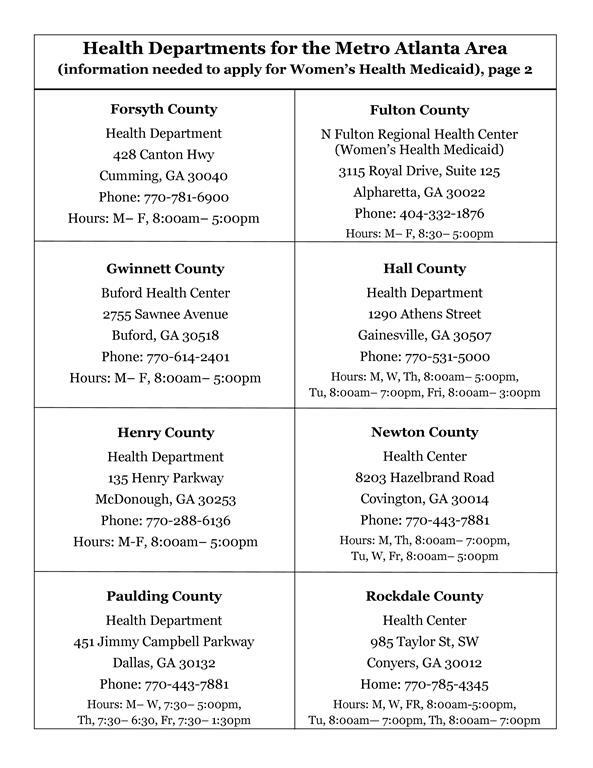 If you do not see yours listed, please call (404) 657-2700.